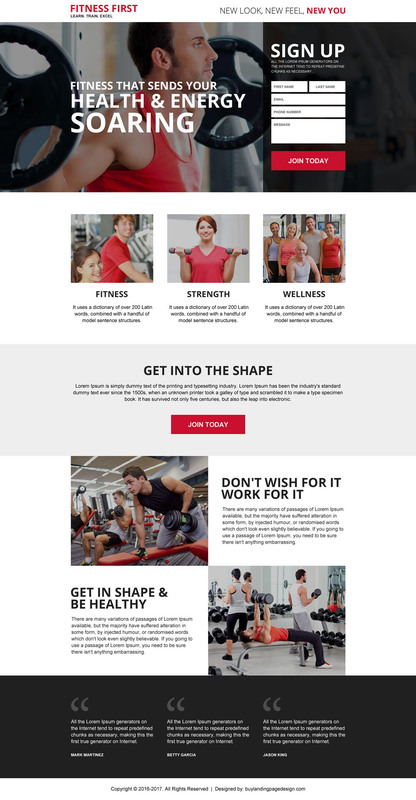 Do you like to capture leads for your health and fitness service?Use our professional health and fitness lead funnel landing page design to capture potential leads for your business success. Download link will come with the 3-page design with valid HTML/CSS. The first page as an index page with a clear tagline and call to action button, all benefits of good health and fitness, quick contact phone number and social icon are on above the fold. Second page with a lead form and the third page with a confirmation message. 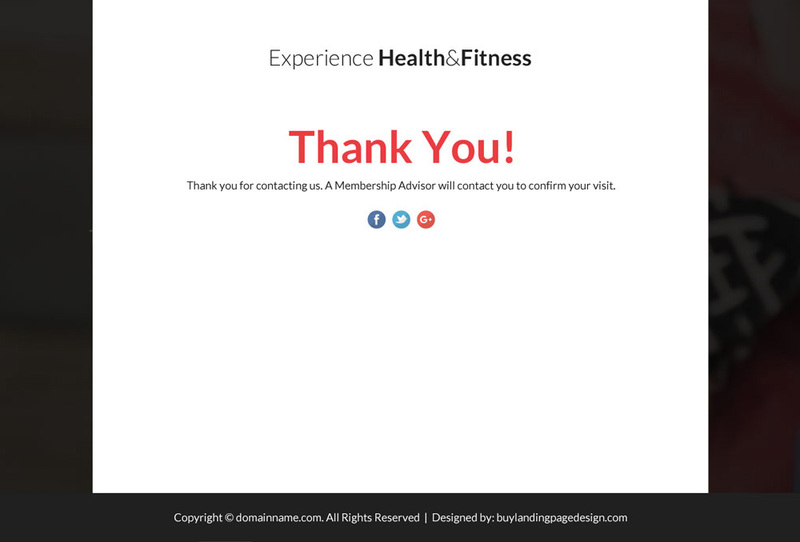 Download responsive version of this health and fitness responsive landing page design that will support all screen size and resolution. 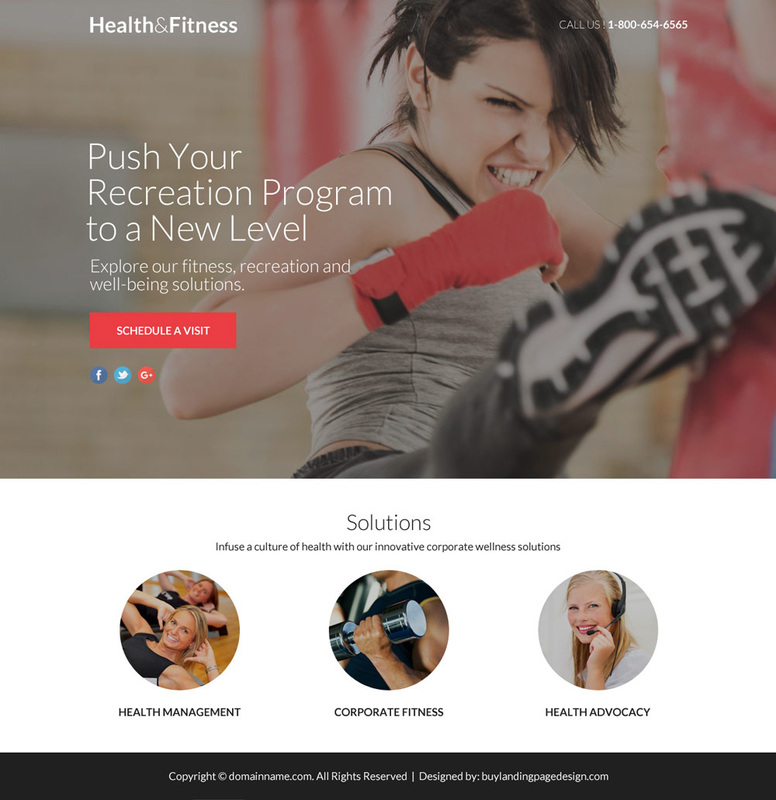 Need a custom landing page design on health and fitness service? 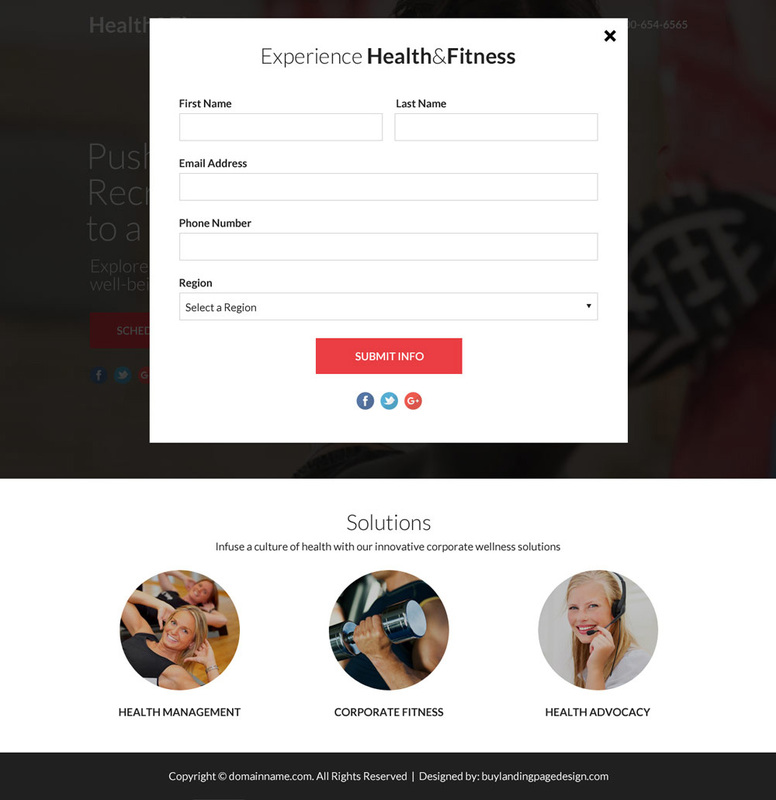 or need a lead capture lead funnel landing page on health and fitness service to meet your custom requirement. Get it done from us. Just send us your details requirement through our request a FREE quote page, we will check it and get back to you with a quote and time frame.